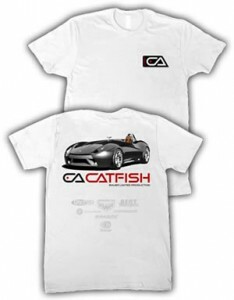 We printed these t-shirts for the release of the Catfish at the SEMA show. The companies that helped us get there are listed on the back. 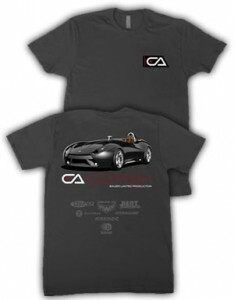 This design is special, and probably won’t be reprinted. Get them while they last.